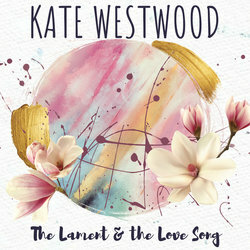 Kate Westwood is a Christian Contemporary Singer/Songwriter from Melbourne, Australia. She has just released her debut album, ‘The Lament & The Love Song’. She has been singing since she was 3 and wrote her first song at 13. Kate credits artists Lauren Daigle, Brooke Fraser, Nichole Nordeman, Ryan Tedder (OneRepublic) and Jon Foreman (Switchfoot) as huge influences in her music and writing styles. She has travelled extensively, is a worship leader and public speaker and says singing is the thing she does best in life. She is so grateful for the 60+ people who have contributed to the album and says it’s only because of that creative community, that the album has been made. ‘The Lament & The Love Song’ is now available on all mainstream purchase and streaming platforms. I wrote this song after meeting a woman who said she had lost everything, her husband, kids, health, hope. She felt all that time was wasted. This song is an encouragement to all of us that every moment is a line in our story and is worth telling.